Tran Huynh Duy Thuc was born on 29th November 1966 in Vietnam in a poor family with eight siblings. 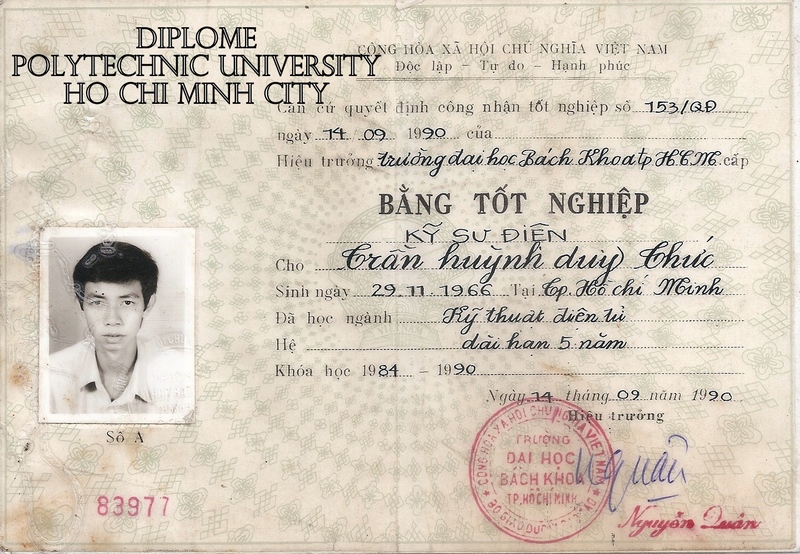 In his early years, Thuc had shown a passion for knowledge and education as he believed that would be the most reliable vehicle for supporting his family. Driven by his determination, he always tried to study and work at the same time. For all of his efforts, he successfully got admitted into the Polytechnic University of HCM City majoring in Information Technology. Tran Huynh Duy Thuc opened a small IT shop at the beginning of 1993. Just a couple of months later, his shop was able to assemble its very first personal computers. Thoug small, the shop didn’t compromise its own brand EIS, refusing to jump on the bandwagon with a fake foreign brand name at a time when Vietnam’s newly opened market was in heavy favour of imported goods. Ultimately, determination helped Thuc’s shop find surprising success as customers began to put their trust in a domestic brand name for its product quality and after-sales service. Consequently, EIS’s revenue quickly grew and the brand dominated the sector of household PCs on HCM city market in 1994. At the end of 1994, Thuc met Le Thang Long, who was his old friend at college and was then a successful director at a joint venture in Hanoi. He asked Long to establish a new company with him. At that time, although private enterprises had been legally recognized, most Vietnamese people felt financially safer being employed by state-owned companies or foreign-invested joint ventures. Nonetheless, Thuc and Long was among the few who chose to go against that pattern; they left promising jobs, took the leap, created their own business and created a new trend. Common use of the Internet was not allowed in Vietnam until later in 1997, as a result most Vietnamese IT firms were still struggling to have proper usage, let alone explore technologies. Against all odds, EIS was determined to target this new market to compete with overseas giants of that time such as IBM and others. From 1998 onwards, Internet was booming with increasing demands; however, local Internet service providers was still using analog dial-up technology, which certainly failed to meet domestic demands that were steeply rising. On realizing such a gap, EIS was the first Vietnamese company to introduce into market the new integrated services digital network, which significantly boosted both capacity and speed. Hence, EIS managed to beat several large overseas companies in contention for a handful of contractor deals on Internet connectivity expansion projects, thus becoming an up and rising star in the IT field. 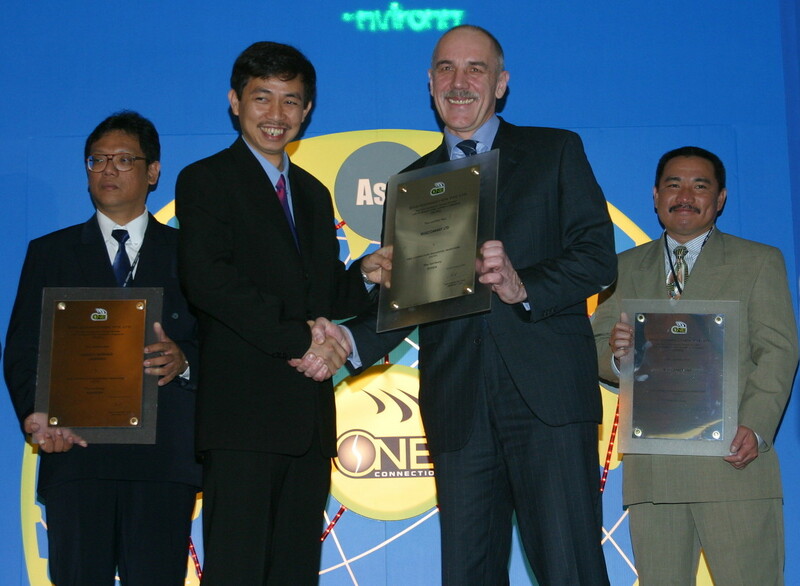 Within two years, having its three subsidiaries including One-Connection Singapore, One-Connection USA and One-Connection Vietnam respectively based in Singapore, San Jose (California, USA) and Vietnam, EIS was confident enough to compete on an international level with strong players. 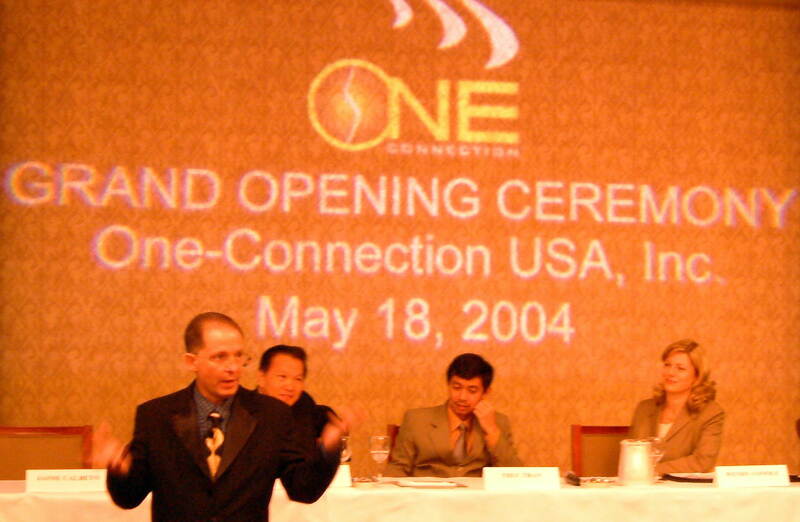 After its opening in February 2003, One Connection Singapore quickly rose as a notable Internet telecommunications services provider. Commercial success brought international media’s attention, which led to headlines hailing Vietnam as a new force in the global technology competition on both Singaporean and international newspapers. Since then, Mr. Tran Huynh Duy Thuc regularly attended as a special guest at various Singapore’s economic development conferences on invitation by local authorities. At that time, Once-Connection Singapore was about to extend to Australian and Canadian markets, but with a heart beating for his country, Tran Huynh Duy Thuc convinced the board of management at EIS, Inc. to channel overseas revenue into Vietnam in order to contribute to national revenue. As a result, One-Connection Singapore was converted to a general agency of One-Connection Vietnam whose profits would flow back to Vietnam. On its own motherland, One-Connection Vietnam was met with indiference or even hostility. Potential agencies from other countries would receive implicit warnings against partnering with One-Connection on the pretext of “threats to national security.” In March 2009, the Ho Chi Minh City’s department of Information and Communication (DIC) issued a decision in which One-Connection Vietnam must desist from providing its services. Unable to tolerate with such an abuse of authority, the company appealed to the ministry of Information and Communication. By May, with lawyer Le Cong Dinh as its legal commander, One-Connection Vietnam was ready to file a case against DIC to the Ho Chi Minh City’s administrative court, while being in the process of filing another case to Singaporean tribunal. On Sunday, 24th May 2009, Tran Huynh Duy Thuc was suddenly arrested on the initial ground of having committed theft of telecommunication service. Illogically, a short time later, together with Le Cong Dinh and Le Thang Long, who had also been arrested, he was charged with “activities aimed at subverting the people’s administration.” Meanwhile, failing to find any evidence of theft of telecommunication service after searching for months, in December 2009, the authorities had to finally drop the charge. Following Thuc’s arrest, both EIS and One-Connection Vietnam went under severe tax review for 3 months in relation to “threats to national security”, but the authorities could not find a single trace of tax evasion. Later on, One-Connection Vietnam’s operation license was withdrawn, and the proposal of business expansion by EIS, Inc was not authorized. Due to severe retrictions and orchestrated alienation, both companies were consequently forced to go bankrupt and had to be dissolved. Most employees at EIS and One-Connection Vietnam are now enjoying good jobs at well-established companies in Vietnam and overseas, while some are running business of their own. They all regard EIS as a place that helped nurture their capacities and Tran Huynh Duy Thuc as not only a foresighted leader but also a person who has inspired them with passion and a pride in Vietnam that are still living on today.